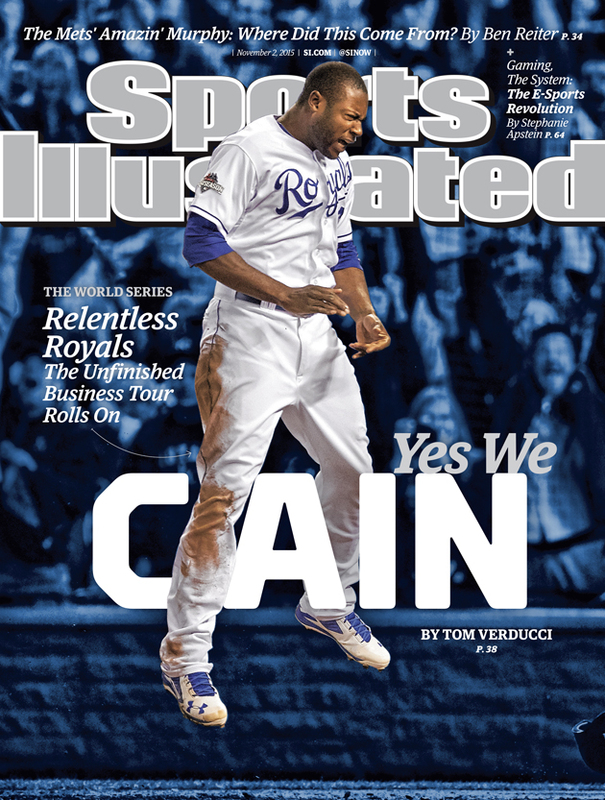 Kansas City Royals centerfielder Lorenzo Cain and New York Mets second baseman Daniel Murphy are featured on the cover of Sports Illustrated. With the World Series scheduled to begin on Tuesday night, the New York Mets and the Kansas City Royals are featured on this week’s Sports Illustrated covers. Second baseman Daniel Murphy, who was the 2015 NLCS MVP, represents the Mets on the national cover, while centerfielder Lorenzo Cain represents the Royals on a regional cover. Murphy could not be stopped through the first two rounds of the playoffs, batting an astronomical .421 with a 1.026 slugging percentage thanks to his seven home runs, six of which he hit in consecutive games. His power binge catapulted the Mets to their first World Series since 2000. 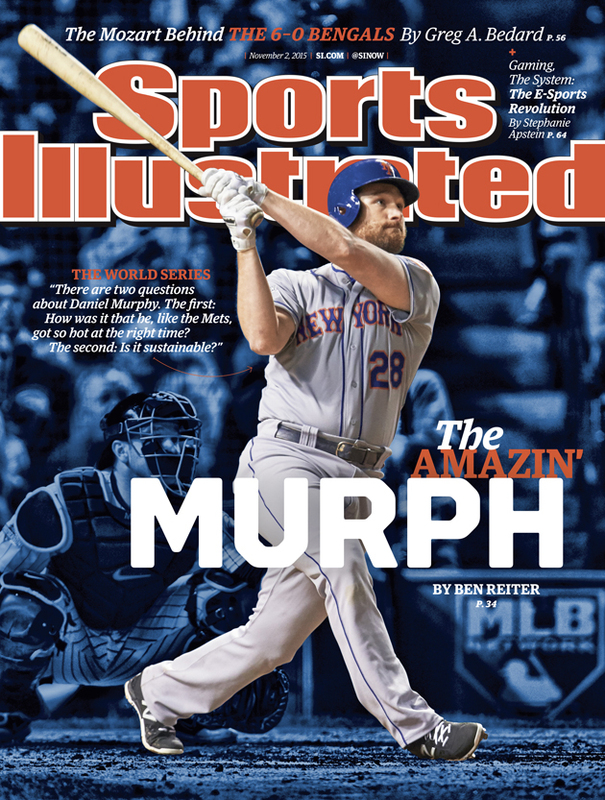 In the magazine, SI’s Ben Reiter discusses whether Murphy’s bat will be enough to bring home New York’s first title since 1986. Cain, who was the 2014 ALCS MVP, hit .300 in this year’s ALCS, and was part of an offense that peppered the Toronto Blue Jays with hits to score 38 runs and earn a ticket to baseball’s finale. After losing last year’s World Series, four games to three, to the San Francisco Giants, Cain and his team are itching for redemption. In this week’s issue, SI’s Tom Verducci explains why the Royals’ offense will be tough for the Mets’ pitchers to handle. The following locations will receive the Mets cover: Maine, Vermont, New Hampshire, Massachusetts, Rhode Island, Connecticut, New York, New Jersey, Pennsylvania, Ohio, Maryland, Washington D.C., Delaware, West Virginia, Virginia, Kentucky, Tennessee, North Carolina, South Carolina, Mississippi, Alabama, Georgia, Florida, Indiana, Illinois, Michigan, Wisconsin, Minnesota, North Dakota, South Dakota, Washington, Oregon, Idaho, California, Nevada, Utah, Arizona, Alaska, Hawaii. The following locations will receive the Royals cover: Montana, Wyoming, Colorado, New Mexico, Texas, Kansas, Oklahoma, Louisiana, Arkansas, Missouri, Nebraska, Iowa.